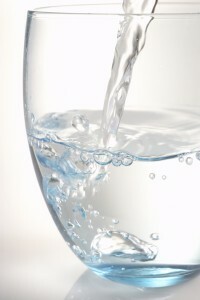 Home filtration systems from RainSoft are designed to filter all of the water that enters a home, right at the source. Even though tap water from public sources must be safe to drink, it may still contain trace amounts of minerals or even bacteria that can cause problems such as unpleasant tastes, odors, staining, and corrosion. Further, water from private wells is not required to meet the standards established by the Environmental Protection Agency (EPA). While you can purchase bottled water or add a filter to your kitchen faucet to ensure that your drinking water is clean, the water you use for showering, cleaning, doing laundry, and other purposes will remain unfiltered. For this reason, home filtration systems from RainSoft present a more complete solution. Because the composition of the water in every home is unique, RainSoft recommends a professional water analysis prior to choosing a water filtration unit for your home. Toward that end, your local authorized RainSoft dealer will be pleased to provide a complimentary in-home water test and, if necessary, recommend an appropriate selection from our array of high-quality, customizable home filtration systems. There are many advantages to choosing RainSoft for your water treatment needs. First, our home filtration systems are assembled in the U.S.A. and Tested and Certified by the Water Quality Association or NSF International for their contaminant-reduction capabilities. Second, every authorized RainSoft dealer is trained to provide expert installation services as well as outstanding after-sale support. And finally, with our comprehensive Limited Lifetime Warranty, you will have peace of mind in knowing that your RainSoft problem-solving water filtration system is the last you will ever need to buy. To learn more about home filtration systems or to inquire about an in-home water test, please contact your local authorized RainSoft dealer.